Eliane Aberdam was born in Nancy, France. She studied piano and theory at the Conservatoire National de Region in Grenoble, 1972-1981. She completed her undergraduate studies in composition at the Rubin Academy of Music and Dance in Jerusalem, where she studied with Mark Kopytman (1987). 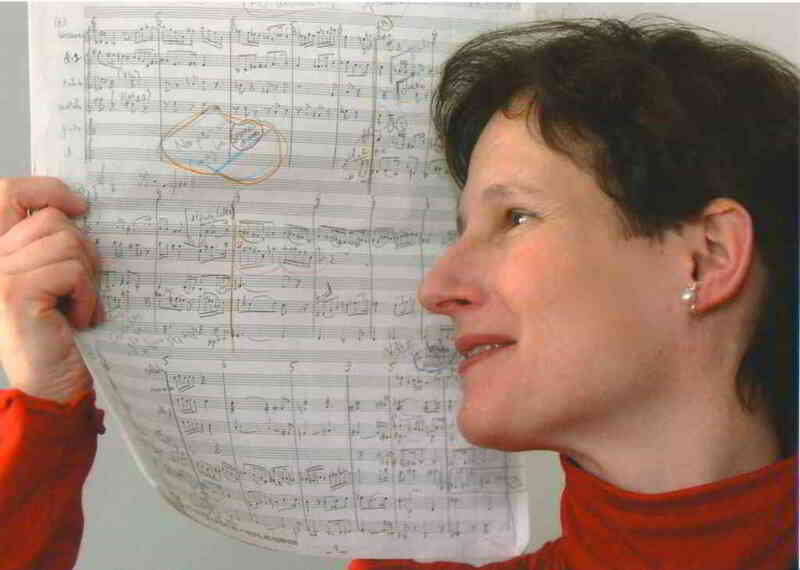 In 1989, she entered the graduate program at the University of Pennsylvania where she studied with George Crumb, and obtained her Master degree in 1992. She completed her Ph.D. in Composition at U.C. Berkeley. In 1998-1999, she taught composition, theory and Music technology at the University of Northern IOWA. Her works are performed in Israel, France and the United States. She attended music festivals such as The Bartok Seminar in Hungary, June in Buffalo, the Summer Academie in Paris, and Voix Nouvelles in Royaumont (France). 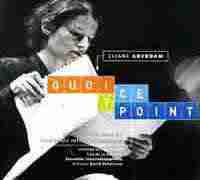 In 1995, she was selected by IRCAM for the Annual Course in electronic music, and for the commission of PaRDeS, an electro-acoustic work for chamber ensemble and electronics. In 2000, the Ensemble Intercontemporain (Paris) commissioned and premiered the chamber orchestra piece "Quoi? Ce point." (after Primo Levi's book The Periodic Table. Her three-acts opera Tamar – based on the biblical story – was premiered at URI in 2007. Aberdam writes for all kinds of styles and genres: electronics, orchestral, chamber, chorus, and solo. Her recent works and commissions include a piece for soprano and electronics The Seven Deadly Sins (2010), an orchestra piece Les Bons Augures (2011), a piece for wind ensemble Zamarine, (2012) and a piece for soprano, harp and violin Deux Poèmes Océaniques (2012). She composed A Demon in my View for the Aurea Ensemble (2013) and Figurines for the Earplay Ensemble in summer 2014 (performed in San Francisco in January 2015). In August 2015, Shahrazad for harp, singer and actress (a monodrama) was premiered in Pittsburgh, PA.
She has been using the Genesis program – a Sound-Synthesis-by-Physical-Models program – to create electronic sounds at ACROE in the Institut National Polytechnique in Grenoble France. In 2016, she recorded Encounter for pianist and piano Disklavier with pianist Eric Ferrand N’Kaoua. In 2017, Ted Mook performed her Souvenir des Alpes for cello solo, and in 2018, Garry Buttery performed her piece for Tuba solo, Grésivaudan. She has been teaching composition and theory at the University of Rhode Island since 2001.